Nature Inspired Form with Family Friendly Functions for Home & Garden. 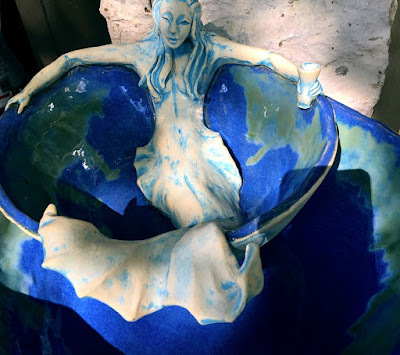 Playing with Porcelain, Yielding Beautiful Yard Art, Serveware & More. Some of us manage to hold on to our creative inner child better than others. Granny Goodfish of Austin, TX is one such artist who grew up exploring the outdoors and "playing in the mud." 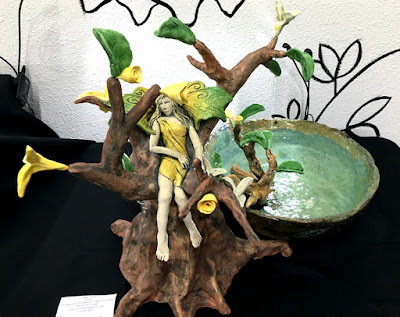 Today she does very much the same as a nature inspired ceramicist, but now with years of experience shaping her technique. Brenda is self taught for the most part, a lover of experimentation. 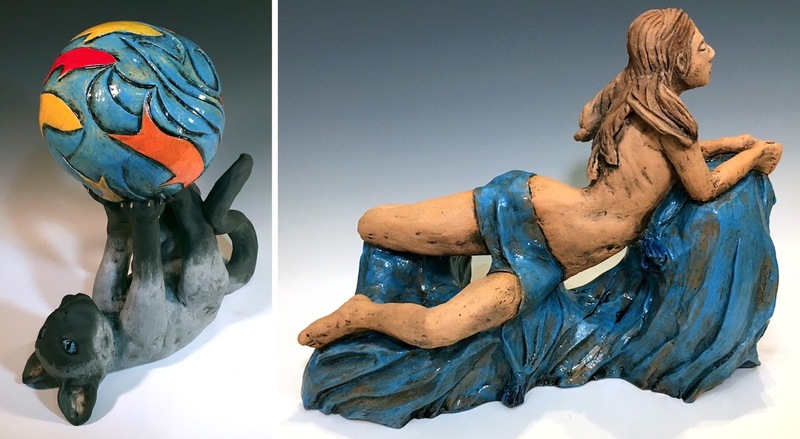 The wonderfully malleable aspect of wet clay lends itself well to testing out different methods and tools. Of course, once you're happy with a design, you can freeze it in time with firing and eventually glazing for added aesthetic. The majority of Brenda's pieces are both beautiful and functional. She focuses on shapes that can be useful in the garden or around the home. She makes bowls for eating, yarn holding and toad homes when turned upside down. She also has a line of planters to bring some outside inside and more. Lately she's been working on more sculptural pieces like figures, animals and fountains to grace your yard. The common thread throughout her various forms is Nature, but with a an imaginative interpretation. You'll see leaves, fish & frogs, mermaids and a range of other flora and fauna. Her favorite glaze colors are often blues, greens and purples, all lovely cool tones. When Brenda's not making her own art she spends time inviting others to find joy in playing with mud, I mean clay, through her Pottery Parties. These events are less structured than a class, but offer a fun introduction to wheel throwing and lots of time to play. What better teacher than a passionate potter who's been making all her life!